I’m Your Man: The Life of Leonard Cohen. Toronto: McClelland & Stewart, 2012. Early printing of the definitive biography of Leonard Cohen. Octavo, original boards, illustrated. Signed by Leonard Cohen on the title page. Fine in a fine dust jacket. Jacket design by Leah Springate. Rare signed. I’m Your Man is an intimate and insightful appreciation of the man responsible for “Suzanne,” “Bird on a Wire,” “Hallelujah,” and so many other unforgettable, oft-covered ballads and songs. 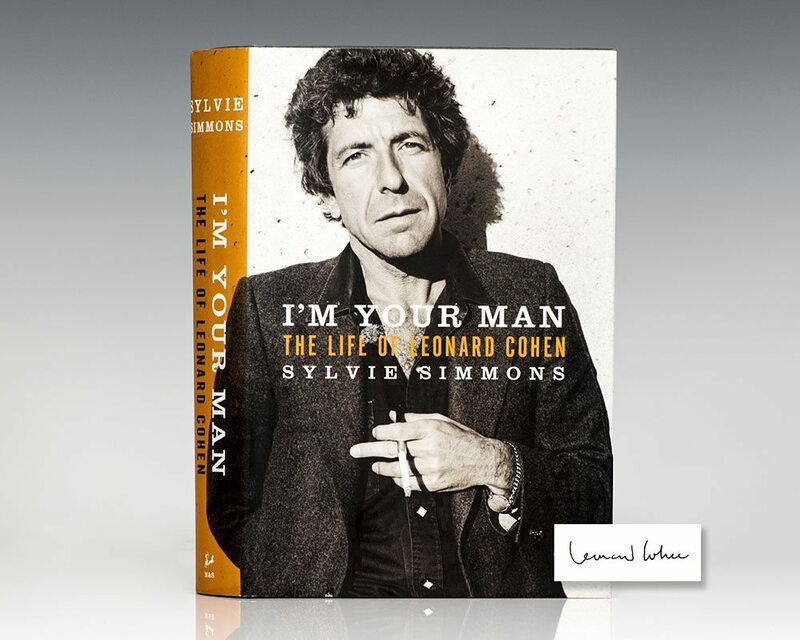 Based on Simmons’s unparalleled access to Cohen—and written with her hallmark blend of intelligence, integrity, and style, I’m Your Man is the definitive biography of a major musical artist widely considered in a league with the great Bob Dylan. “A thoughtful celebration of the artist’s life...Simmons has deftly narrated Cohen’s evolution... In the end, this biography has the oddest effect: as soon as you finish reading it you feel an overwhelming impulse to go back and begin again, revisiting the story with what you’ve learned along the way" (A.M. Homes, New York Times Book Review).